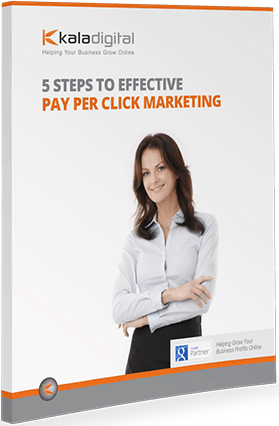 Pay per click marketing is the fastest and one of the most proven ways to generate leads to your company. Pay per click essentially is the act of bidding for particular keywords you would like to appear for on Google. We say “bidding” because pay per click is a live auction system, and the price is determined by supply and demand. Drive Targeted to your traffic 24/7. With pay per click marketing you can have a constant, steady stream of ready to buy customers coming into your website. It is like having a showroom on the busiest street in your neighbourhood. With Google being the street supplying the cars that drive past and your website being the showroom. Over time our campaign specialists optimize your campaign toward the highest converting keywords to ensure you are generating the best possible lead volumes and return on investment for your business. Kala Digital has the ability to track every event on your campaigns even to the point of recording the phone calls that come in from Google. Some business believe that the business who bids the highest amount for a particular keyword appears at the top. The truth is there are two factors influencing your positions. Your quality score (your relevancy score). Your quality score is essentially a relevancy score based on what your potential customer types in and how that relates to your advertisement and then the page on your website which your client land. If that experience is great for your customer (ie you give them what they are looking for). As a by-product you will please Google. We work really hard to thoroughly understand your business before we undertake any marketing campaigns on your behalf. In light of this. We ask you all about the products and services you offer, the services you don’t offer. The specific locations you want to target, and your ideal type of customer. All of this is carefully placed into one of our campaigns to help you generate the right volume and type of leads for your company.